LAWN, TREE & SHRUB CARE SERVICES Your lawn is an investment. Make sure it’s getting the proper year-round treatment it needs. At Perm-O-Green, we know what your lawn needs to look and grow its best. Let us help you achieve the dream lawn you have always wanted! We are a full-service Texas lawn care company committed to providing exceptional customer service and results –we even guarantee it! Unlike national companies, lawn care is all we do. We are second to none. We fully understand the vast differences with individual lawns, and we utilize the nuanced expertise to tailor our plan to your lawn, handle problems effectively, and provide you with the best value in lawn care. The team of lawn care professionals at Perm-O-Green has been helping home and business owners throughout Texas since 1976. We continue to set the standard for what experience and dedication can do to improve the look of residential and commercial properties throughout Fort Worth, Tyler, Lubbock, Longview, Wichita Falls, and the surrounding areas! We've been offering Texas lawn care services since 1976. 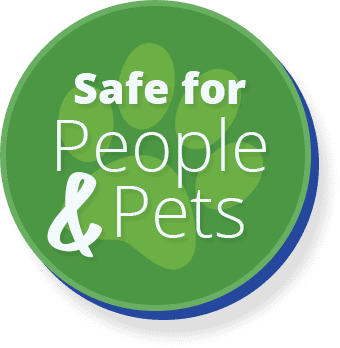 Our materials are safe to use around your children and pets. We offer free estimates, and you can reach us 24/7. If you aren’t satisfied with our work, we fix it at no extra cost. Need Lawn Care, Pest Control or Weed Removal? Few lawn care companies can provide the range of services and measurable results that we offer at Perm-O-Green. We are not some franchise who provides every lawn with the same treatments, and we are not a mom and pop business that will be gone in a year. We are experts in Texas lawn care who have been around for over 40 years. We pride ourselves on being good, hard-working people, and each lawn care expert on our team is committed to delivering exceptional customer service by exceeding expectations. Every member of our team is passionate about the work and customer service we provide – and we're ready to help you next. Call us today to learn more about our wide range of lawn care services or request a FREE estimate to get started. A Perm-O-Green employee can come to your property, measure your lawn, and leave a quote at your front door. You don't even have to be home! See What Your Neighbors Say About Us! We offer a comprehensive program consisting of lawn care, weed control, and fertilization for lawns, trees, and shrubs. Why do I need Perm-O-Green in addition to my traditional landscapers? Perm-O-Green provides a robust and ongoing service to make your lawn, trees, and shrubs green and healthy, and together with routine landscaping produces exceptional results. Why isn't mowing my lawn enough to keep it healthy? For the same reason that cutting your hair doesn't necessarily make it healthy, lawns require a complete approach to promote overall health, including fertilization, pre-emergent and post-emergent weed control. Dec 14, 2016 Happy Holidays from Perm-O-Green! Sep 14, 2016 Perm-O-Green Offers a Fall Special on Weed Control Program!